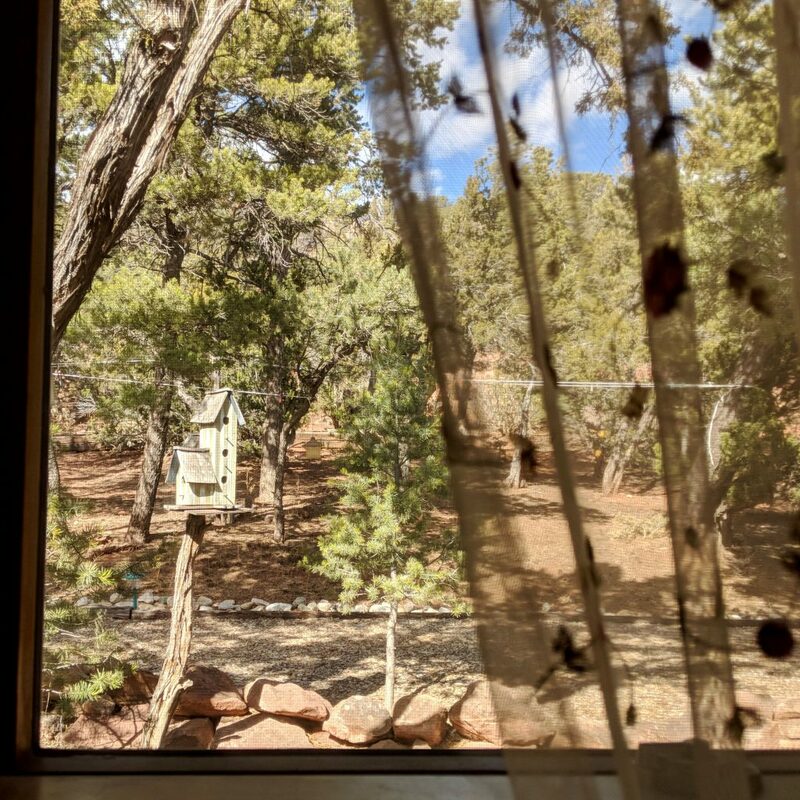 Tucked in the Cibola National Forest just east of Albuquerque, we discovered the Brinkley House at Sunny Mellow Villa. 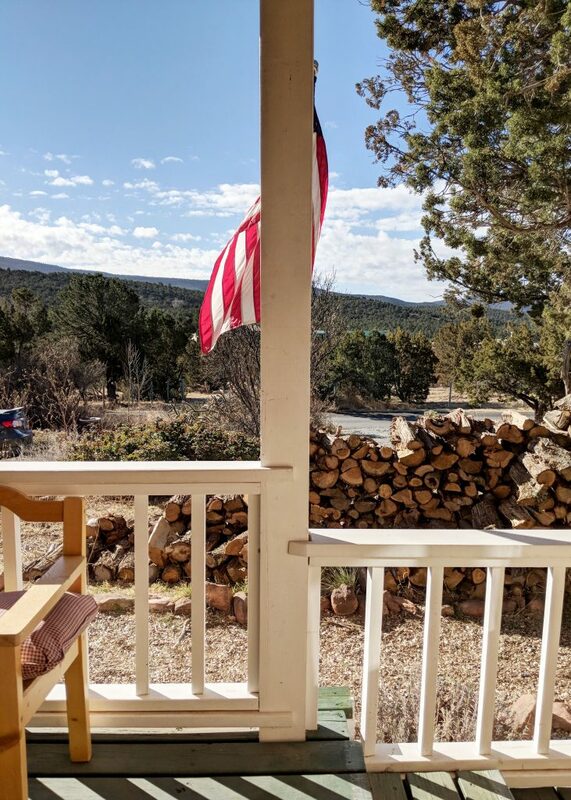 As we walked up to our February home, we found ourselves standing on a sprawling porch in possession of the most impressive view from any Airbnb we’ve yet to discover. 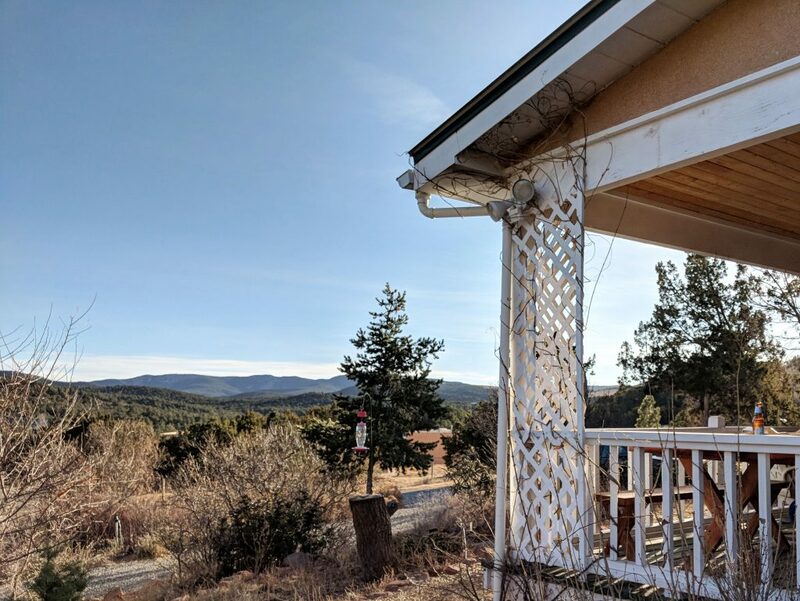 Soft mountains, emerald green, encompassed the horizon, a gentle breeze rustled the trees, and we experienced that coveted wash of tranquility only vacation-worthy Airbnbs elicit. All that, and we hadn’t even opened the door yet. Gregory and Robbie are a warm-hearted, quirky couple with an impressive number of entrepreneurial irons in the fire. In addition to their small winery, Gregory runs his own massage therapy and natural healing business while Robbie is an independent hair colorist and painter. Transforming one space at a time, Gregory and Robbie have created Sunny Mellow Villa, a collection of four Airbnbs nestled around their own home. 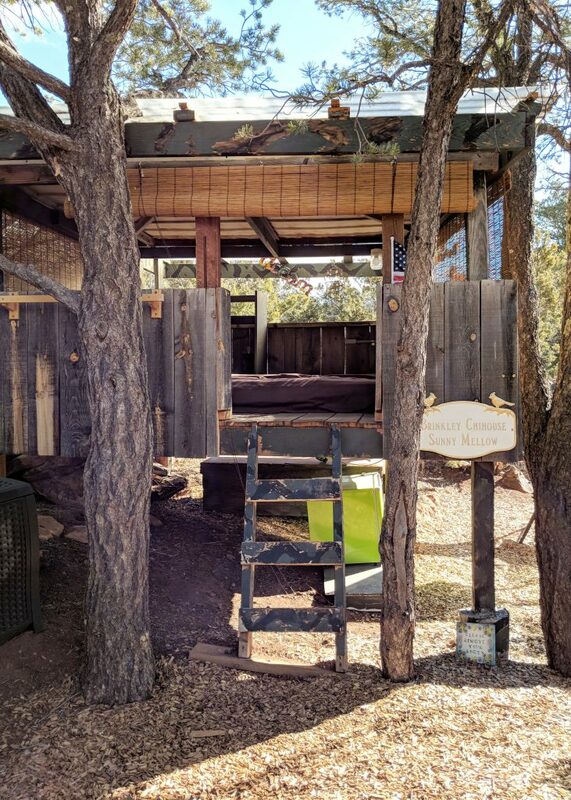 In addition to the larger Brinkley House where we stayed, Sunny Mellow also includes a pair of outbuildings that have been converted into artistic studios aptly named Artista del Sol and Artista de la Luna as well as the Chi-Treehouse perched in between for summer use. Gregory and Robbie float between these Airbnbs with a commitment to hospitality, refreshingly eager to help their guests discover the full magic of Sunny Mellow Villa. 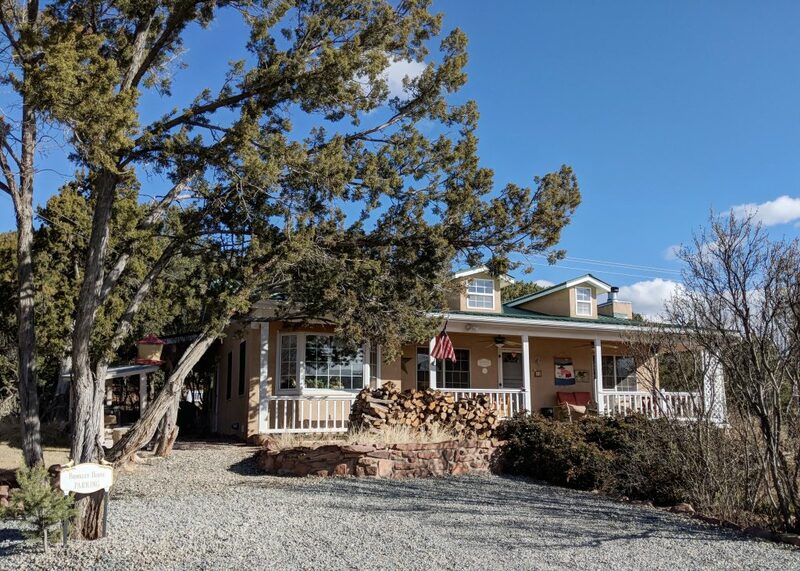 Originally built as a Mother’s Quarters alongside the main house where Gregory and Robbie now live, the Brinkley House was initially the property of Pat and Reba Rowland, owners of Albuquerque’s long-running Rowland Nurseries founded in 1953. 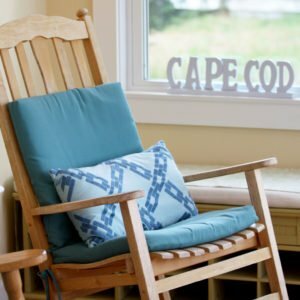 Through the decades and various owners, the house has been updated without losing its rustic character. The living room, dining room, and kitchen are united in a thoughtful open floor plan, all backlit with that incredible mountain view. The master bedroom sits in the back corner of the house with a luxurious king bed that faces east. On our last morning here, we stayed in bed until we’d watched the sun rise fully over the mountains. 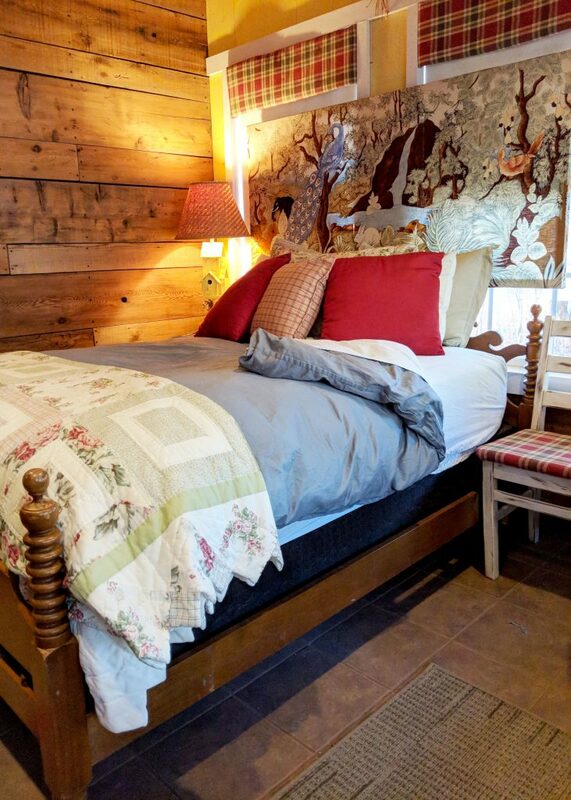 Each room of the Brinkley House connects to the next with a cohesive and charming collection of country clutter. From the black and gold sewing machine to the Raggedy Ann dolls, this rare Airbnb can rock a doily without slipping into a granny vibe. 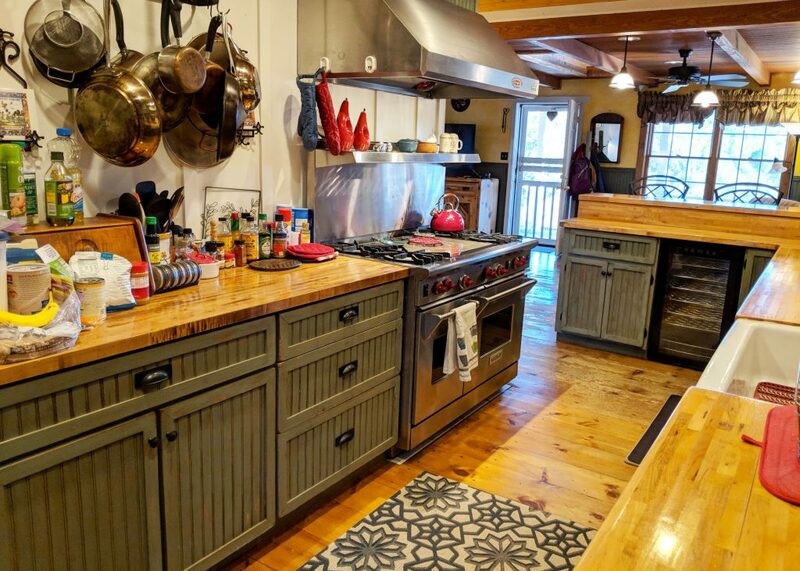 Modern amenities round out the throwback decor: ridiculously fast internet throughout the property, dual showers heads in the bathroom, a Wolf gas range in the kitchen, and one extravagant tv in the living room with a curved screen. 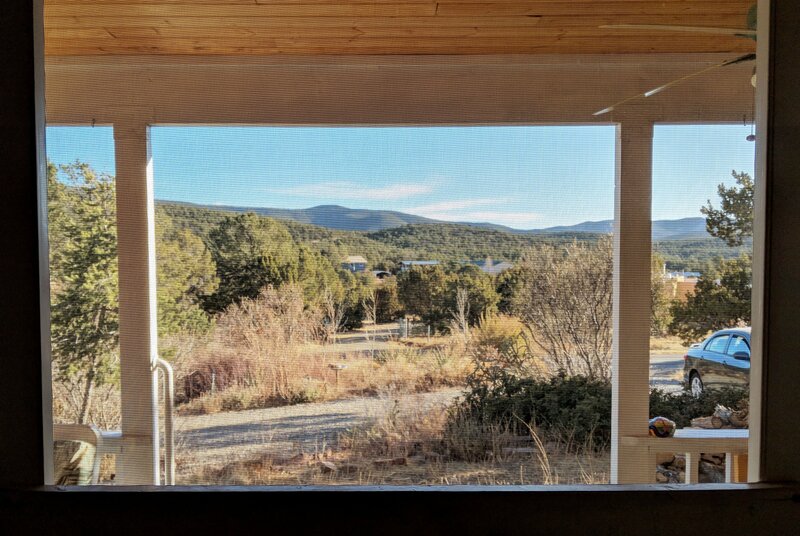 It’s a have your cake and eat it too Airbnb: a secluded mountain home decked out with every modern convenience. 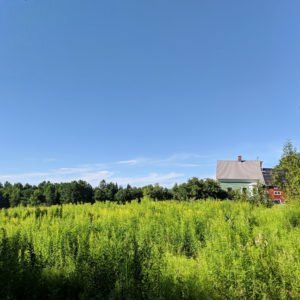 While many of the hosts we’ve stayed with in the past have run multiple Airbnb listings, Sunny Mellow Villa is the first collection of listings we’ve seen stitched together as a sort of Airbnb resort. 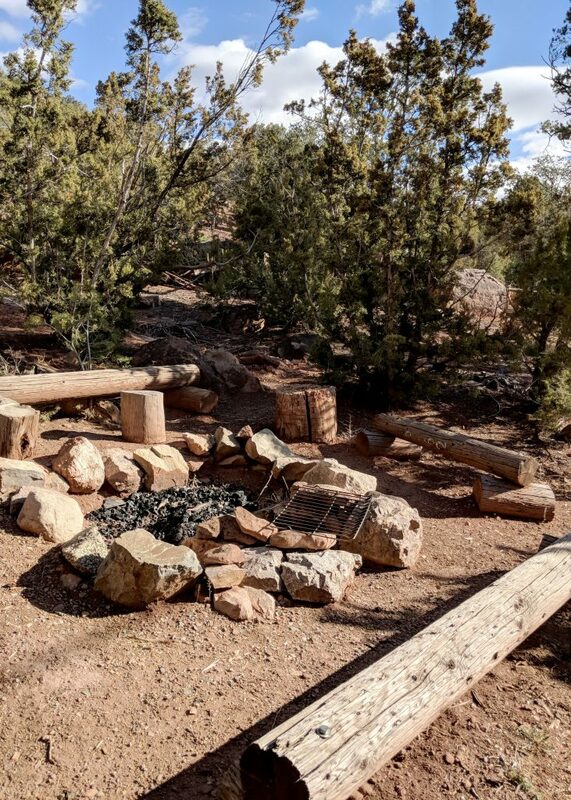 Wood chip paths run throughout the property and communal outdoor areas include a fire ring, a horseshoe pit, and a summer pingpong table that sits under the solar panels that power the entire operation. Gregory and Robbie’s slow and steady expansion of Sunny Mellow Villa has protected the property’s organic flow. 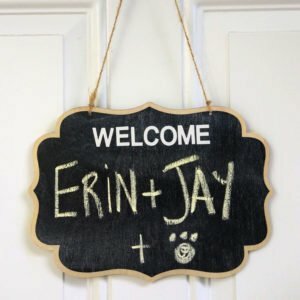 Since they’ve added one Airbnb at a time, each space has received the individualized attention necessary to make it feel unique. And if that weren’t enough, the location of the Brinkley House could compete with any home in New Mexico. 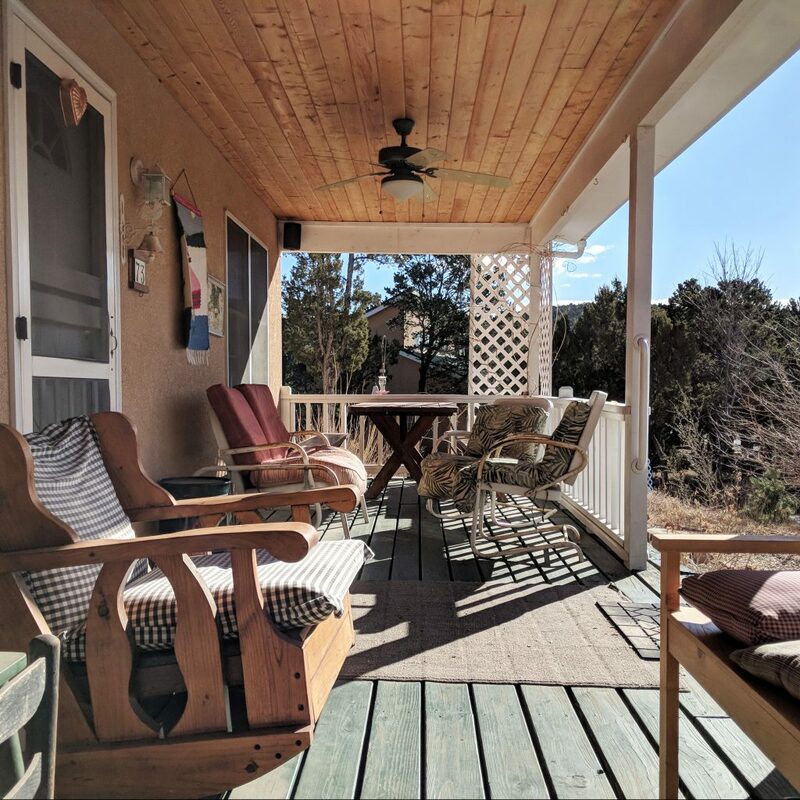 The south-facing house is physically positioned to fully appreciate the beauty of the Cibola National Forest, with hiking trails just down the road. 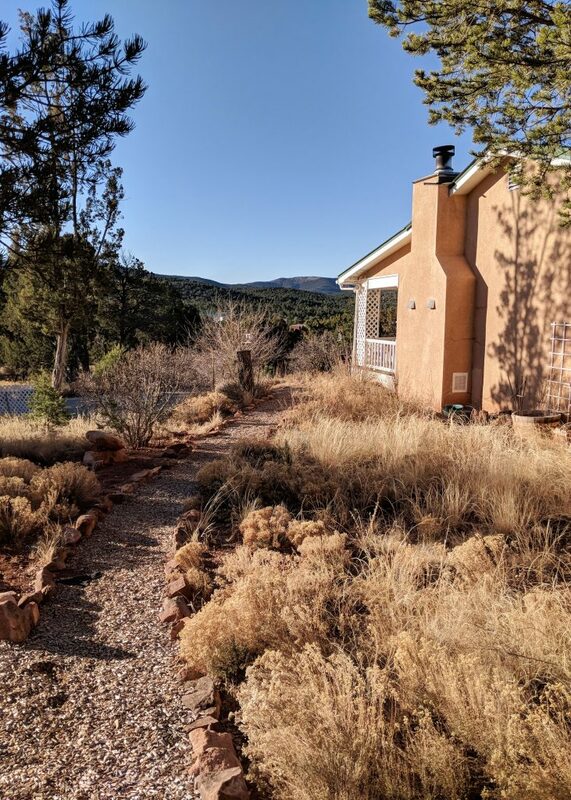 But this serene seclusion is actually just 15 minutes east of Albuquerque. 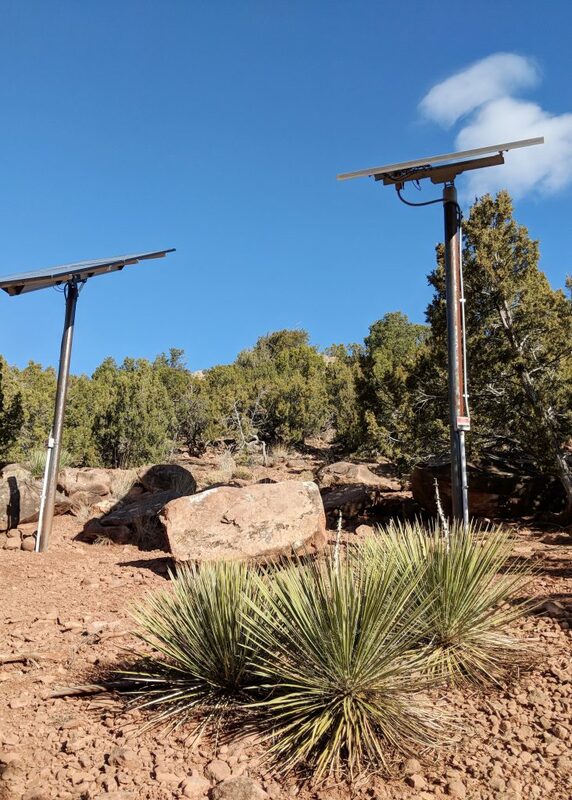 Located right off historic Route 66, Tijeras sits at one end of the Turquoise Trail, one of America’s Scenic Byways that provides striking view after striking view on the 75 minute ride up to Santa Fe. 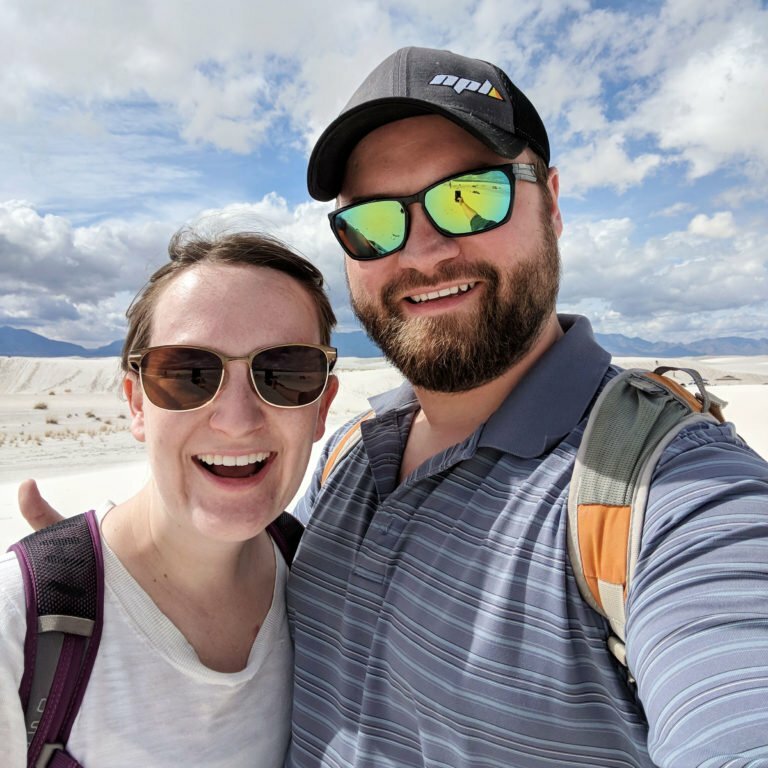 In such a sparsely populated state, easy highway access set us up with direct access to New Mexico’s abundance of incredible national monuments and parks. Inside and out, the Brinkley House was brimming with spaces designed to be enjoyed and small details ready to be discovered. 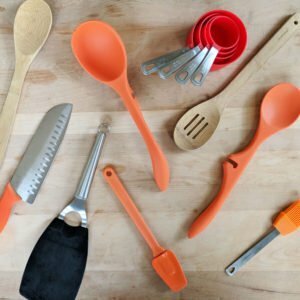 Here’s what we loved the most. The crown jewel of the house, the front porch immediately became a staple in our daily routine. Morning coffee sitting in the glider, answering emails from the picnic bench, picking out constellations on crystal clear nights, all accompanied by that astonishing view. No one loved the front porch more than our pup Odin. His favorite days were a combination of walks through the calm neighborhood followed by sunbathing on the porch. We especially loved the screened door that allowed us to let the fresh breeze inside on nice days. 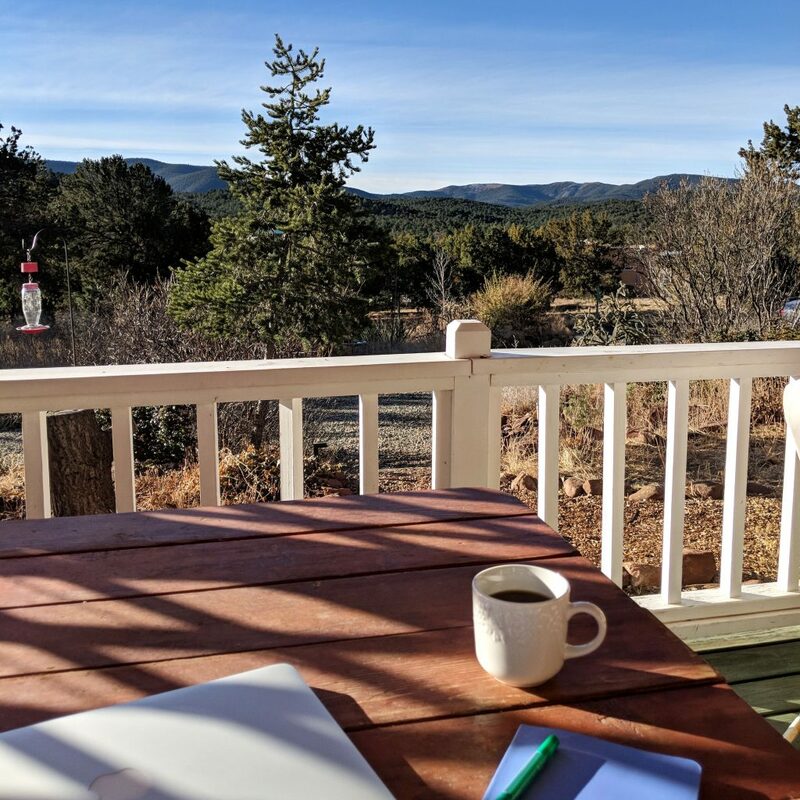 We’ve worked remotely from our fair share of Airbnbs, the Brinkley House has taken the lead when it comes to the number of productive workspaces. 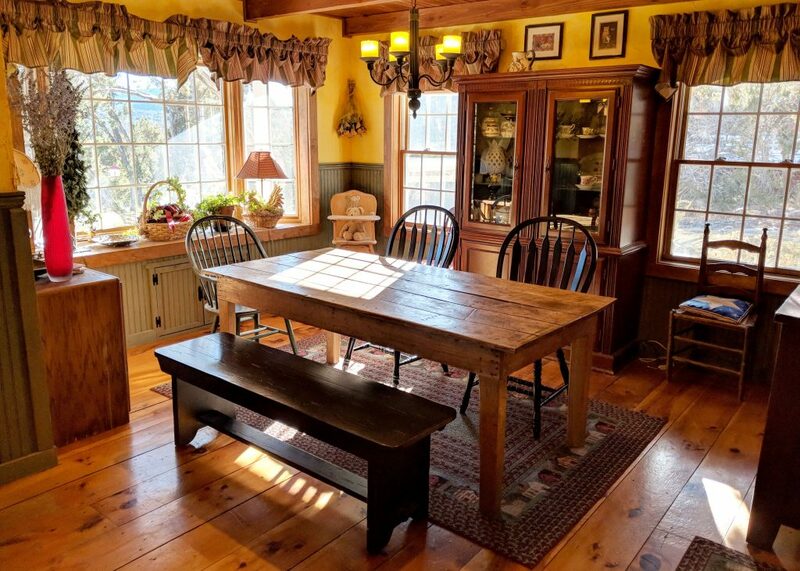 We’d move throughout our options: the expansive dining room table, the picnic table on the front porch, the graceful writing desk looking out the bedroom. The kitchen counter was even lined with the most comfortable bar stools we’ve yet to find in an Airbnb, which made that a go-to work spot. Few evenings went by without a wood-burning fire. 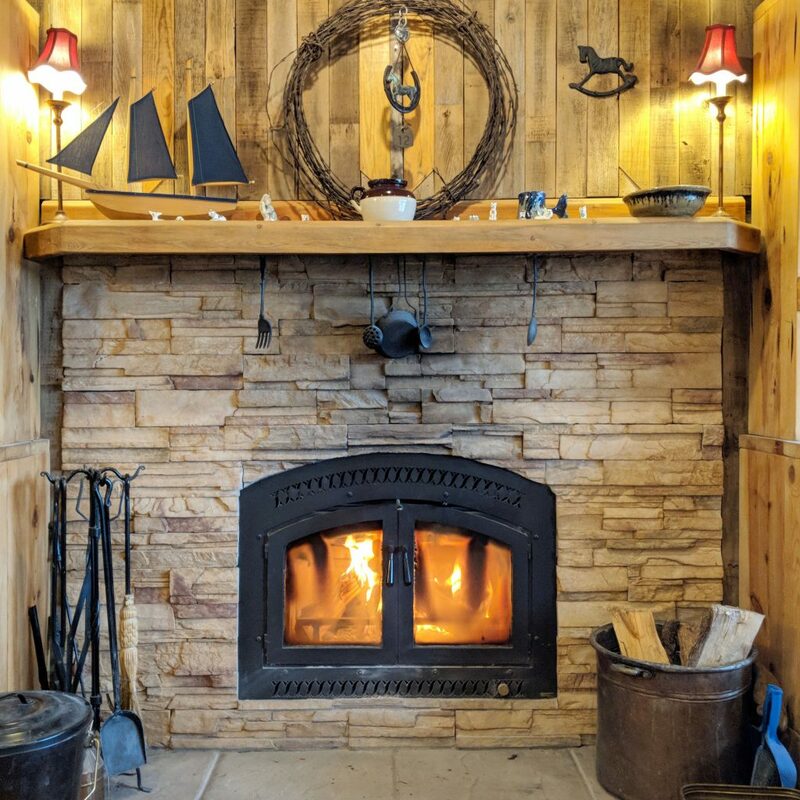 When we first arrived, Gregory went out of his way to make sure that we had all the tools to build as many fires as we could want, from the nearly endless stockpile of wood to a tin overflowing with firestarters. The Winter Olympics in PyeongChang took place during our month-long stay. 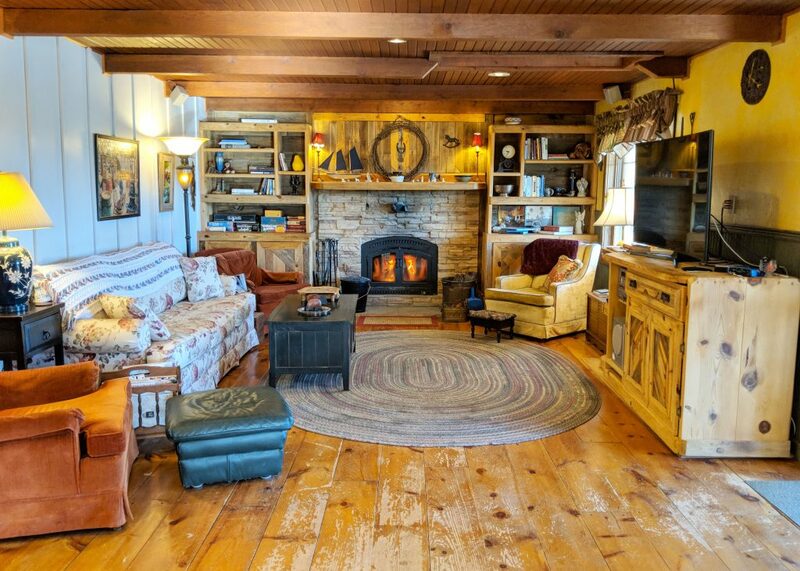 We’d curl up by the fire each evening and soak up the Olympic excitement. A collection of adorable birdhouses hung throughout the property along with several bird feeders. Throughout our stay, a quick glance out the window almost always led to birdwatching. Between the majestic blue jays and the bounding bunnies below, there were moments where the Brinkley House felt like it had walked out of a Disney movie. 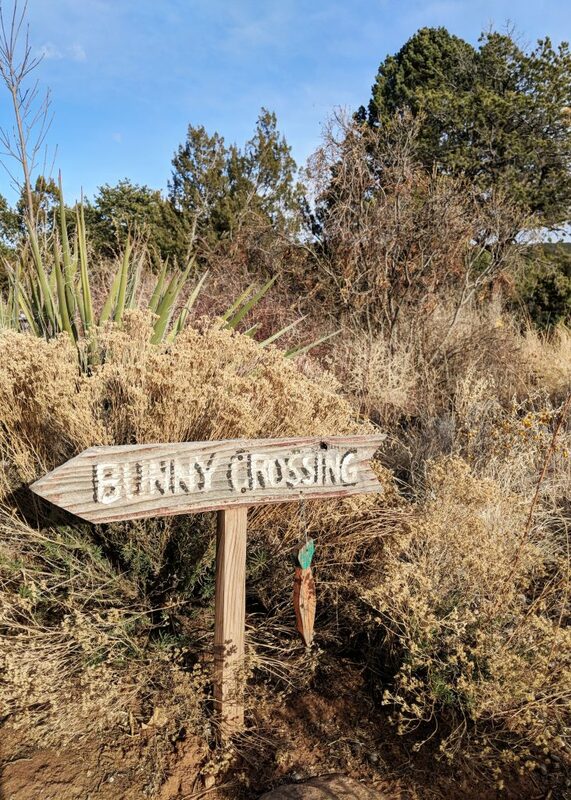 We visited Sunny Mellow Villa in February, but we could see where the lavender fields will bloom this spring. 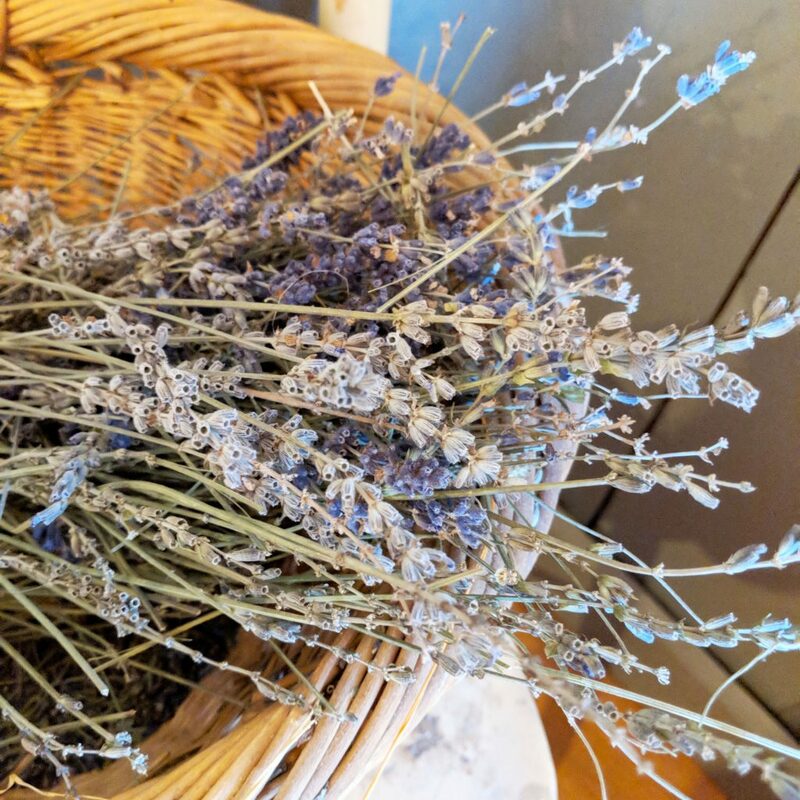 Gregory and Robbie had brought a little piece of their gardens into the house by tucking a bit of dried lavender in each room. Not only were these arrangements beautiful, every now and then we’d catch a whiff of their light fragrance and feel a moment of even deeper relaxation. As they personally tend to Sunny Mellow Villa each day, Gregory and Robbie have fine-tuned their hosting routine. If you’re a host, one of these hospitality tactics might be just what you need to elevate your Airbnb. 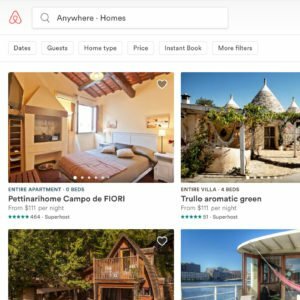 A strong brand around your Airbnb makes it all the more easy for enamored guests to recommend your place to their friends and family. 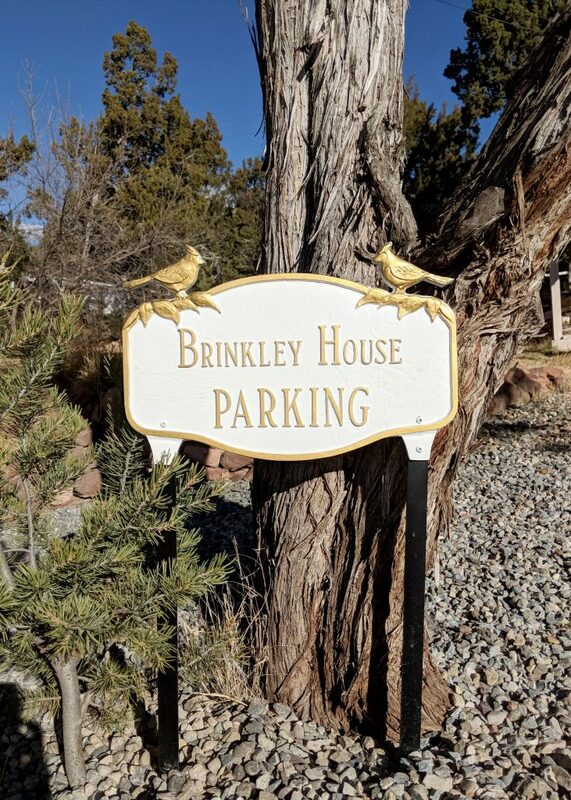 Gregory and Robbie’s personalized signs identifying the parking and the house not only helped guests know which Airbnb was which; after passing the signs each day, we left with the name The Brinkley House firmly in our memory. Check out this bed-making technique. 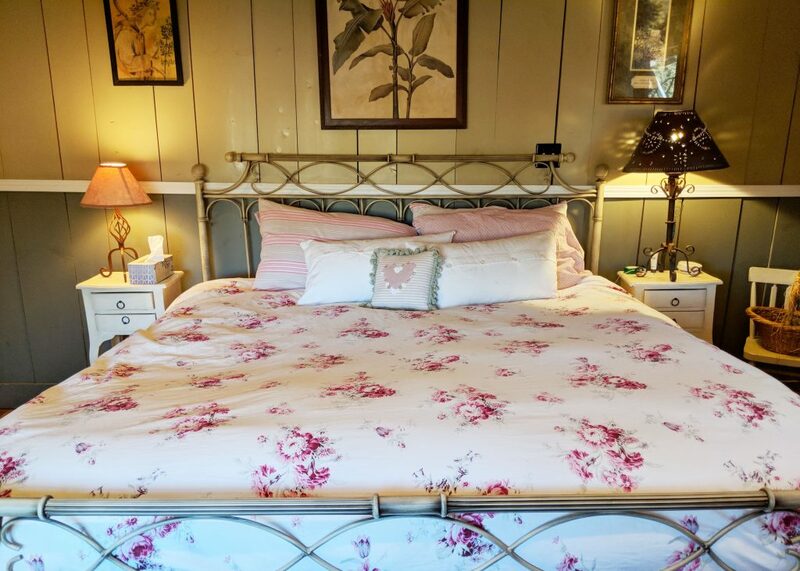 Both the master and second bedrooms felt particularly inviting when we arrived. The corner of the bedding had been folded back to show each layer of fabric. From a guest’s perspective, this finishing touch puts us immediately at ease. One glance, and we’re reassured that each layer of bedding is fresh, clean, and ready to snuggle into at bedtime. Round out your own local guide with a few broader guidebooks about your city or state. Our first evening was spent pursuing the Brinkley House’s collection of guidebooks about New Mexico, Albuquerque, and Santa Fe. There was even a book just about hikes in New Mexico! 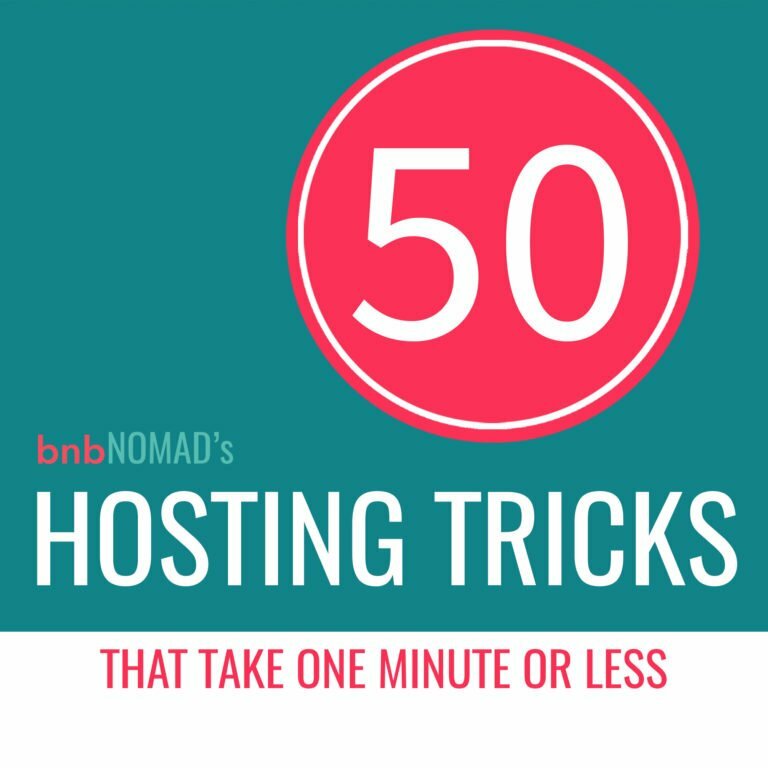 If you have multiple Airbnbs tapping into your internet, consider investing in a business quality internet connection. Gregory and Robbie’s incredible internet signal set them apart as we considered which Airbnb we should book for our month in New Mexico. This dedicated line even came with a specific plan on the off chance an outage occurred. Needless to say, this sealed the deal for remote working requirements! Before your guests arrive, double check the length of their stay and ensure that any amenities you’d offer a one-night stay will last for your guests’ full stay. The Brinkley House became our first month-long Airbnb to have every possible home good stocked for our entire stay. Paper towels, dishwasher pods, laundry detergent, shampoo: you name it, we had it at our finger tips for the full four weeks. 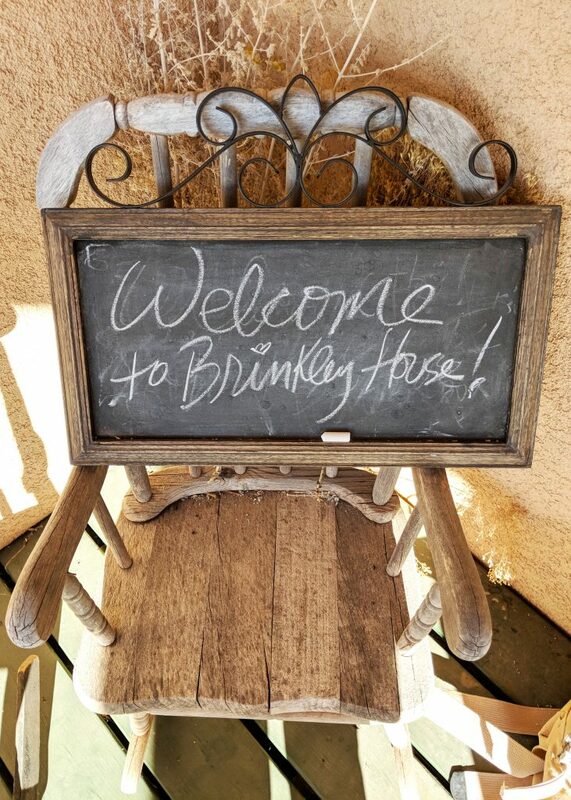 The Brinkley House might be the perfect spot for all sorts of travelers, but we’d especially recommend it for folks like these. Ridiculous internet speeds + serene surroundings + a fantastic monthly discount = the ultimate productive getaway. 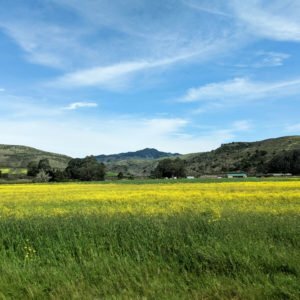 Just minutes away from the city, the other side of the mountains feels like a world away from the urban hustle and bustle. Between Gregory’s massages, Robbie’s paintings, and their airy way of life, Sunny Mellow is uplifting, relaxed, and just a touch surreal. 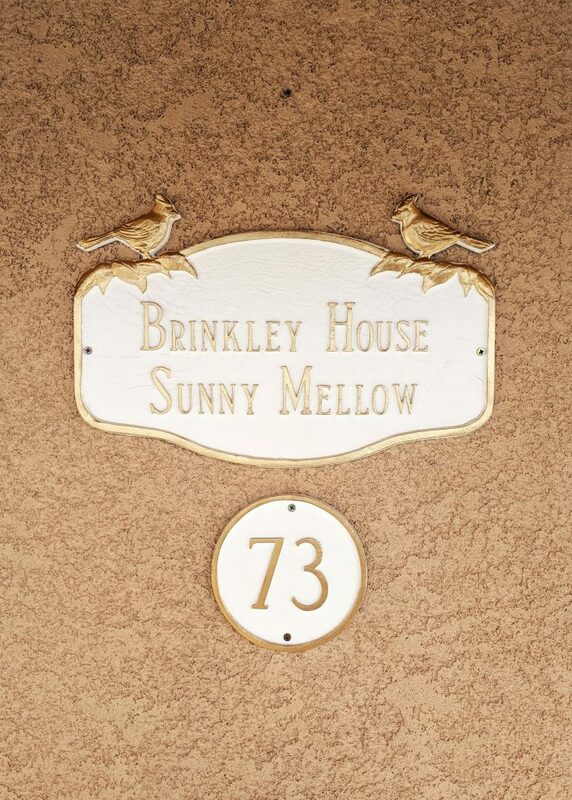 Book the Brinkley House at Sunny Mellow Villa!